In ten directions, space, earth, water and fire are infinite, so too it is with those beings beset by suffering, for their infinite is just the same. Through the bodhisattva’s great compassion, those infinite beings are led out of their suffering. And definitely brought to parinirvāṇa. As a result of generating this firm resolve, whenever walking or standing, whenever asleep or awake, or even when sometimes being somewhat careless, still, an incalculable amount of merit constantly flows to him. Since the number of beings are infinite, and the merit constantly flows to him without the slightest interruption. 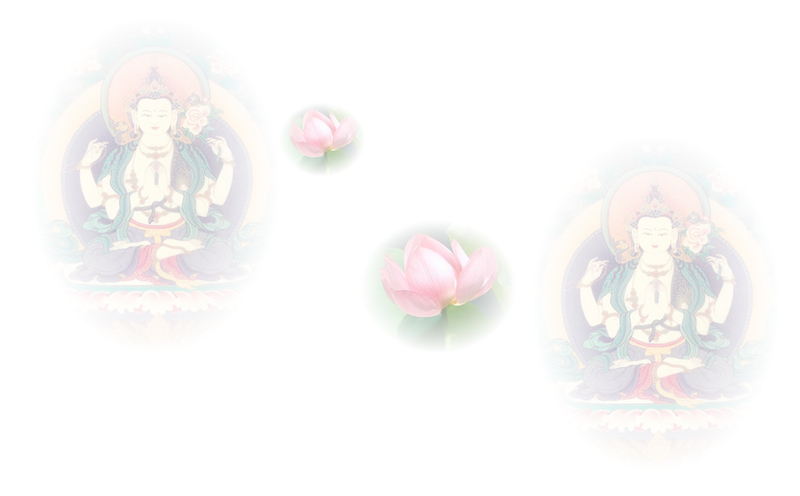 Since the cause and the effect develop commensurately, realization of bodhi is not difficult to achieve. The period of time, as well as the number of beings ‒ bodhi itself, and also the amount of merit ‒ because these four are all immeasurable, the bodhisattva carries on his practice equipped with solid resolve. Although bodhi is itself immeasurable, the causes in the above four factors being also immeasurable, as one courses in the two practices of cultivating merit and wisdom, how could it be difficult to obtain them? The two types of practice in generating merit and wisdom ‒ due to their being so boundless as this ‒ the bodhisattva’s body and mind sufferings are therefore quickly melted away. due to one’s evil karmic actions. The bodhisattva forever abandons evil, due to merit, such suffering ceases to arise in him. Desire, anger, fear, and so forth such – mental sufferings arise from delusion. The bodhisattva leaves behind the mental sufferings, he relies on non-dual wisdom. When one experiences suffering, if it is pressing, it becomes difficult to bear. How much the more so if it is excessive. When freedom from suffering goes on for a long time, one abides in happiness. How could that be difficult? Whilst physical suffering becomes eternally non-existent for them, the existence of mental suffering is but a conventional expression. It is due to their compassion for the world’s two types of (mental and physical) suffering that they constantly abide within the sphere of birth and death. Therefore, during that long time leading up to bodhi, the mind of the wise does not sink into discouragement. So as to bring about cessation of evil and generation of goodness, he cultivates this endeavor unremittingly during this entire time.